Courtesy of WOWSA, Key West, Florida. 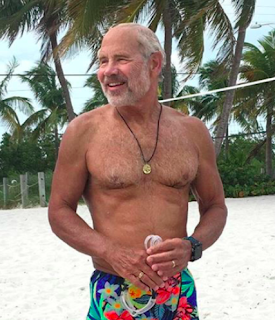 Bill 'Ciastko' Welzien swam his 101st 12.5-mile circumnavigation swim around Key West, Florida on June 1st in 6 hours 43 minutes under the guidance of kayaker Captain Don Nelson in 79°F (26°C) water. "My next swim - #102 - is planned at the 42nd Annual Swim Around Key West on June 16th," said Welzien. "We went down to the beach on Thursday and watched the lightning and listened to the thunder. When the start window closed, we headed home. But we returned yesterday on Friday and got it done. It was a hard slog, but we finished."